2016 was a record year for golf tourism in the Algarve, reinforcing one of its key attractions to foreign buyers there. If you’re looking for a home by the fairway, is it worth looking anywhere else? The Algarve’s appeal to golfers from around the world is only getting stronger, after new figures showed there was a 10% hike in the number of rounds played there in 2016 – almost 1.3 million to be exact – compared to 2015. At the same time, the Algarve kicked off 2017 with an unprecedented double award from Today’s Golfer magazine. The famous stretch of Portuguese coastline scooped two major honours after readers of the UK publication voted it Best Golf Destination and Best Value – for the fourth time – in continental Europe. It’s the first time the Algarve, which boasts 43 fabulous courses, has claimed the awards’ top prize as Europe’s leading golf destination, easily beating off competition from across the continent by landing 48 per cent of the vote – an incredible 37 points clear of second place. The Algarve’s ongoing success as an international golf destination is good news for both homeowners there, not least because it makes their properties more lettable, as well as golfers from around the world looking for a home close to quality fairways and beaches, together with a laid-back friendly lifestyle. But as a buyer, where do you start? Here’s a glimpse at residential areas on the Algarve that offer great golf. The famous ‘Golden Triangle’ area in the centre of the Algarve is the pinnacle of residential golf development in Europe, let alone Portugal. There you’ll find the upmarket resorts of Vale do Lobo with two courses, Quinta do Lago with three courses, and Vilamoura with five courses, as well as Portugal’s largest award-winning marina. In any of these three resorts you could catch sight of a celebrity, including footballers or TV personalities, which aren’t surprising given villas can run into the multimillions of euros. That said, in the less exclusive areas there are plenty of apartments and townhouses available for less then €500,000, especially if you head inland a bit and west towards Albufeira. Other golf courses within the Golden Triangle with popular residential developments include Victoria Clube de Golfe, Millennium Golf, Salgados Golf and Amendoeira Golf. Getting to the Golden Triangle from abroad is a cinch, thanks to Faro Airport being 15-20 minutes away. Away from the Golden Triangle, the Algarve is peppered with other equally desirable but typically less expensive residential golf spots. Starting at the quieter, less developed eastern end, the area around the whitewashed town of Tavira offers a more traditional lifestyle, with access to the local golf course at Benamor. Otherwise, more expensive, resort-style golf homes are available at the Monte Rei Golf and Country Club, located near Vila Nova de Cacela – previously rated Portugal’s best golf course. Or the Castro Marim Golfe and Country Club, next to a nature reserve and Guadiana River, which forms the border with Spain. 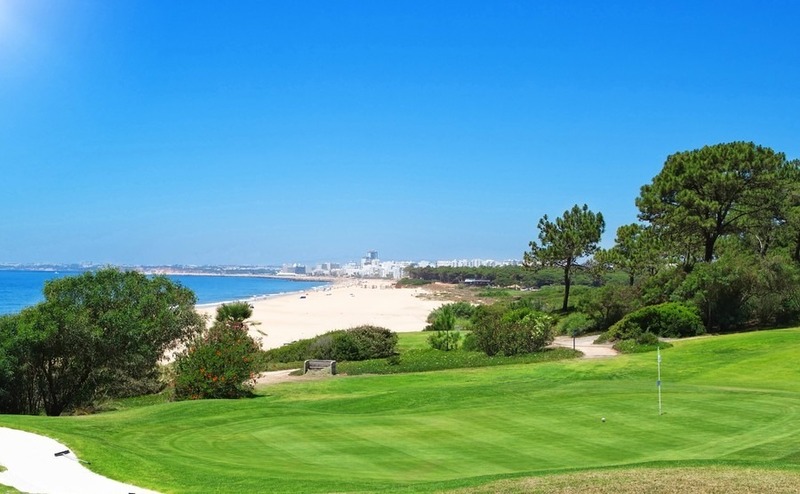 Back in the western Algarve, the pretty resort of Lagos, with its world-class marina and beautiful beaches, provides a convenient base for accessing a number of quality golf courses, including the Boavista Golf and Spa resort, which also offers fractional ownership options. 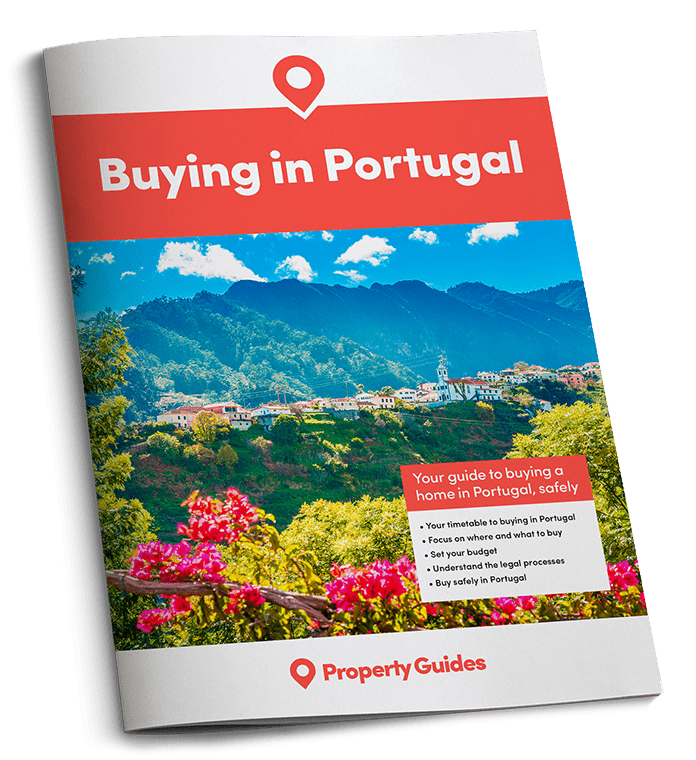 The Carvoeiro area is popular too, thanks largely to the Pestana Golf Resort, which incorporates the Vale da Pinta and Gramacho golf courses, where front-line property is available.